"It's nice to meet you," Madelyn greeted, clearly awestruck by the unicorn. She had always wanted to see one. "I'm Madelyn and this is my friend Danica. Regius told us about the rebellion he is planning and we're more than happy to take part," she added, glancing at Danica nervously. "I think." Taelin tossed his head excitedly. "That's wonderful!" he whinnied. "We're glad to have you on board!" He bumped his nose affectionately against Danica's cheek, careful of his horn. "And such a cute girl, too!" One could say Taelin was a flirt, but really he was just overly friendly and said what he meant and meant what he said. Regius chuckled at Taelin's friendliness and said, "Well, Danica's still not quite sure, but I was hoping she'd come around when she met you." Taelin had that effect on people. If Regius couldn't convince a person to join the movement, Taelin usually could. That's why Regius kept the unicorn around, though he did enjoy the company. Danica smiled at the unicorn. She was about to saying something, but stopped abruptly. She heard a noise, though very faint. It almost sounded like people screaming in pain. She sniffed the air. Was it smoke? "Something.... something isn't right," she muttered under her breath. The unicorn lifted his head and sniffed. "I smelled it a while ago, but I just thought it was smoke from the chimneys. Humans need fire to cook their food and warm themselves, after all." His ears twitched, and he closed his eyes to hear better. He flicked his ears and turned his head in the direction of farmland not too far from the village. "No, you're right. Something is going on. People are screaming... Dragon?" Regius went pale. "We have to hurry." He clambered up onto the unicorn's back and offered a hand to Danica. "Climb on. We have to check this out." Danica nodded, taking Regius's hand. When they arrived to the scene, it seemed as though they were already late. Danica let out a small gasp. "D-did a dragon actually do this?" she asked. "This was a real dragon." Taelin sniffed the ground thoughtfully. "A shapeshifting dragon. Shapeshifting dragons don't have fire as hot as the normal ones. Not enough room for the extra furnaces the big ones have." There was no time to waste, then. Regius slid from the unicorn's back and helped Danica down as well. "Stay here with Taelin. I'll handle the shapeshifter." And with that, he headed out to find the mysterious dragon. And he found it just over the hill. There were corpses of people and half-eaten animals scattered around it. This might prove to be a problem. "Excuse me, Master Dragon?" he said, doing his best to be polite. Loomis bit into his lip, hard, feeling as the soft inner flesh was nipped. He glared at the large doors that allowed one passage to his throne room another impatient sigh leaving him. The young king felt his anger rising, when would word of his ever elusive sibling arrive? He let out an angry growl as a knock resounded throughout the large room. Gritting his teeth the teen granted entrance to who he'd inferred to be his messenger. "What is it, Tesla?" Loomis asked the older male, teeth clamped firmly together in both anger and disdain for the others person. Tesla bowed on one knee being sure not to make eye contact with his king before continuing on with what news he had to relay to the younger. "May the gods keep you in high spirits and good health, my king. I bring news of my king's elder brother, first born prince to the throne of Aderus." The elf looked up at Loomis, watching as he perked up ever so slightly at the news of his brother and waiting for some sign for him to continue. At the insistent wave of a pale hand, Tesla went on. "He was seen earlier today, in the town square, wearing naught but an old hood and peasant-like clothing. It would seem that your brother has spread word amongst the others like myself, of a rebelllion against you, my king. He is currently in search of members to join his party." Tesla watched as Loomis stood from his chair and sidled up next to him. The enraged teen lifted the elf's chin between his thumb and forefinger, gripping the pale blue skin in a manner that would surely leave bruises on the other's easily prone skin. "Do his efforts bare fruit, Tesla?" He asked, sweet smile misleading and ever so contradictory to the force he was currently using on the elf. Tesla looked at Loomis and swallowed. This was all too farmilar to him now, he would be hit after giving Loomis an answer and punished further for whatever wrong doing the young heir could think to accuse him of. "Yes my Lord." SLAP. Tesla winced at the stinging ing his cheek as Loomis asked, "And why, my dear sweet messenger, was this not brought to my attention sooner?" Tesla replied softly, "There was troubling finding him, m;Lord. The men knew naught when, where, or how, he was able to recruit anyone." The teen dragged the elf to his feet, face still being held firmly. "So not only were you lazing about with the news of my brother's whereabouts, but you also allowed him to add more of your kind toward his cause whilst he was right under your noses?! Tell me what manner of beast has Regius acquired thus far?" 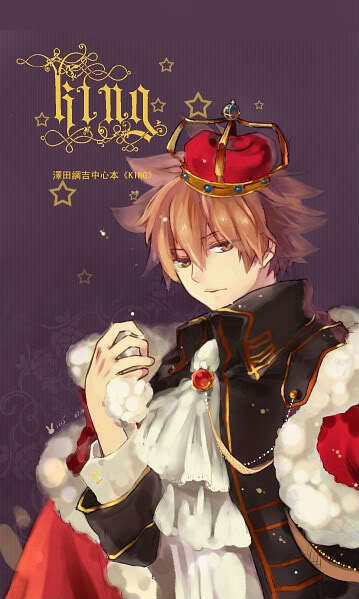 "The young prince Regius, has already a shapeshiter and another with the Sixth Sense, a girl that works as a shopkeep. Men were sent to the store, but the girl...she was already go--"Another harsh slap connected with his cheek, making him bite into his tongue. Tesla hissed at the new pain before hearing Loomis' livid response. "Find her...find them and stop at nothing to bring my brother to me. His head is my own and it is your duty to see to it that this crown remains where it truly belongs. On the head of pureblooded royalty...Leave me..." he ground out as Tesla moved to stand properly. After bowing the elf made to leave when Loomis' voice carried over and into his pointed ears. "Oh, Tesla...." he smirked knowingly, "once you've given the men their orders report back for your punishment...", Looomis stated, voice smiling sadistically. "...and do clean yourself up. You have such a lovely face, I'd almost feel guilty if your beauty were to diminish because of your failure to look presentable.." "Yes, my king, I undrstand my folly and will be prepared for my punishment upon my return." With that being said he left through the large doors, closing them behind him. making it impossible for him to see Loomis pitching a fit. "Ugh, that bafoon dares to form a rebellion against me?! I am the ruler of this land and the kingdom of Aderus is rightfully mine, brother! You may attempt to restore what once was with whatever feeble freindships you may have formed since our last encounter, but do not be fooled, I will find you and when I do, no manner of aid be it magical or otherwise shall save you...I, Loomis, second to the throne of Aderus, current king and steel hearted ruler of this land from the rivers of Nadie to the summits of Castar, declare it so." The brunette smirked to himself as he sank back into his throne. "It would seem as though your cowardice will be your downfall, Regius..."
Nox lifted up his huge head and looked at the boy.He then lay his head back down stared at him.His hot breath felt as he breath out.Smell of him smell of ash and coal flowed up Regius's nose.Nox sighed the began to speak. "you got guts to have come so close to me boy".He let out deep growl and then got up. "Humans and dragons have never tolated each other...state your here business now!". 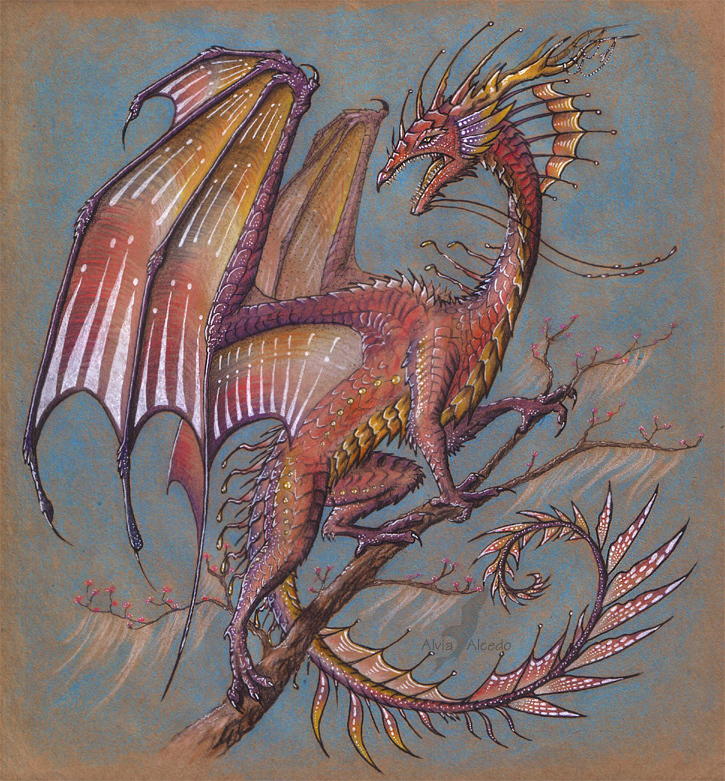 He began to circle Regius.The ground shook a bit has his feet would meet the earth.For a heavy creature most dragons where flew with lightness and speed.He continued to circling Regius and sniff the air.He was a bit irradiated he didn't like to be disturb when resting after a meal. Luna walked in the woods and found a Centaur.A blue one he never seen them blue before.So with his long coat on him he took it off and threw it to the side.He didn't need to hide from another magical being.Centaurs usually where good creatures.Luna hoped this one was good.He walked up to the Centaur and spoke"excuse me..I noticed you where looking at that town curiously..I'd be careful if you venture there.Our magical heads are wanted by the current king".Luna stood there looking at the blue human horse. Danica bit her bottom lip nervously as she stood by Taelin. "I do hope he's all right," she said softly. "Those poor souls taken by it didn't see it coming at all." Madelyn smiled. "It's okay. I'm sure Regius knows how to handle creatures like that.... I hope." "My name is Regius. Surely a grand dragon such as yourself has heard of me," he said carefully, bowing deeply. From what he knew, dragons tended to be vain creatures that loved their ego stroked quite a bit. "I lead a rebellion against our king, who would have spectacular creatures such as yourself killed simply for being as you were born. I hoped that you might help one as insignificant as myself, Master Dragon, stop this injustice to all magic-kind." Taelin shook his mane. "I don't know. We've handled plenty of big creatures like this before... Got a giant to help us at one point, but giants are stupid. Dragons are cunning and narcicistic. One wrong word and Regius is toast." Though if anyone could speak to a tempramental dragon, it was Regius. Madelyn grinned. "Oh, imagine if we could get a dragon or two to join the cause. Loomis would be the one to get toasted! I think I'm going to go find Regius and see what this dragon looks like. Be back in a minute!" she exclaimed, disappearing. Danica sighed. "Well, there's no sense in stopping her. It's not like she can get hurt or anything, I guess. Um, so where do unicorns live exactly? I've always wanted to know. Some villagers would always talk about trying to hunt you all, thinking that they knew where your location was, but always came back empty handed." "We live in an forest enchanted by the fae folk. It's a sort of symbiotic thing. They hide us with their fairy magic, and if any humans get through, we, uh, spear 'em with our horns." He chuckled nervously and pawed the ground with his hoof. "It doesn't happen too often, thankfully, though when Regius came around we all panicked." He turned his head to watch the hill Regius had gone over, awaiting his friend's return. "Everyone's there now, hiding, since there's no way the king can get in there without magic." "Well, it's good to know that your kind is able to hide easily," Danica said with a smile. "It's a shame that there are so many out there that cannot hide what they are, but I am not so sure that starting a war will solve anything..."
"If we can," Taelin whispered, "we want to avoid a war. We hope that if we have strength in numbers, we might frighten the king into surrender. And if that doesn't work, perhaps just a few of us could go in and stop him personally." Danica nodded. "I am sure Regius could probably stop him if anyone. If he doesn't, then it is scary to think about what may happen to us all. I know I shouldn't be negative, but still. For the last couple of years I've been so afraid of finding out what I can do, and capturing me. I've heard awful stories from those passing through town; terrible things. I believe he may be worse to those who have the same gifts as Regius. Something awful happened to the person that Madelyn once followed around, though she will never tell me what exactly." Taelin nuzzled the girl gently. "May I ask what your power is? Regius can cast spells, but there are many other types of magic than the obvious." Nox paused and staring at the boy." a white unicorn told me about this..and I declined that offer...but I guess I will help you out....But not for you or anyone else...but for myself and my own desires...also have nothing to do so this will amuse for now "Nox then shook like a big dog.This woke up his tired muscles and relived him of his drowsiness." I am not going be ordered around am I? Cause then that would make me really angry....we dragons are free roaming creatures.We have not good or bad sides we choice the sides we want...usually if it mean we will live...but there are a few that fight with the white knights. ".He then yawned and continued to look down at Regius. Nox looked to the side and saw 8 armored men with bows and horses with harpoons.Two carried flags with a dragon on them.It was clear the neighbors of the farm had called in Dragon Slayers.They where mostly under Loomis's banner.Dragon hide,teeth and other parts where expensive and paid larges amounts of gold depending on the size,health,age and difficultly killing the dragon was. Dragon where becoming hard to find some where hiding but a lot where dead. "Just what I need Dragon Slayers. "He growled and clawed the ground like a bull ready to charge.He seen fellow dragon killed and eggs taken and sold as pets when they hatched.Even seen babies and females killed Dragon Hunters didn't care they where babies or not.Money was money thats all they cared about most times. Regius smiled. "I would never dream of telling a dragon what to do, you who are far wiser than me." Then the dragon riders approached. He cursed and drew the light blade at his side. It would hardly stand up to their armory on horses. "What should we do?" This was a big problem. While it would be terrible for another dragon to lose its life, Regius was the heart of the rebellion. Without him, things would fall apart. Vain reared up on his back hooves at the sudden voice, letting out a high pitched whinny, "Ah! Don't sneak up on me!" "Well, obviously I can see ghosts. Also, I hear things that others don't, not even Madelyn sometimes. Sometimes I feel really strange, like something is trying to tell me something if that makes any sense. I am sure there's more to my ability than I think, but I've been trying to hide it instead of embracing it, I guess," Danica explained. "Regius, I think we should get out of here before the slayers catch us," Madelyn exclaimed, floating next to him. "If you open your mind and your heart, I'm sure you could do use your powers in ways you never imagined before." Taelin nodded encouragingly. "Do it now. Close your eyes." Regius glanced at the ghost girl and wondered briefly if the dragon could see her as well. "I believe we should retreat. You can shapeshift, yes?" He sheathed his sword. "If you choose to stay and fight, it shall be your own battle. The rebels need me." He bowed quickly. "I wish you luck in whatever you choose." He felt like a coward, but he knew his duty. He turned and sprinted, going as fast as his legs could carry him. Taking a deep breath, Danica closed her eyes. For a slightly moment she felt something strange, something powerful. However, the sensation abruptly diminished once Danica heard Madelyn shouting in the distance, breaking her concentration. "Hey! Some of King Brat's followers are nearby. We really have to get out of here," Madelyn shouted. The rebel leader scooped Danica up in his arms and lept onto Taelin's back spectacularly for someone so scrawny. In reality he'd used a bit of his magic to add to the leap so that they could get moving faster. He settled Danica in front of him. "Hurry, Taelin! We must flee!" Regius didn't have to say it twice. As soon as he felt Danica balanced enough, he took off, hooves creating dull thuds in the soft forest floor. When they met the stone road, Taelin willed them all to be invisible, if only for a moment, and galloped down the stone rode. A few people looked searchingly for the source of the hoofbeats, but saw nothing except perhaps a ghostly shadow. A half-mile later, Taelin turned to forest once more, hoping their tracks had been well-covered. "That was close," Madelyn said, floating beside Taelin. "I sure do hope that dragon guy is okay, though." Danica blinked. "So, it was really a dragon?" "Yeah! It was really scary looking, too. Regius, I was telling them earlier how wonderful it would be if we had a dragon or two on our side. That should set your brother straight then!" Nox knew there was a spirit there but didn't care.Ghosts and the dead ment nothing to him he didn't care.They where dead what harm could they do? Nox got a running start and flew off and fallowed .Dragon slayers where tough people and seem to know what they where doing.Nox didn't want to dance with them today.He had a full belly so he was a bit slow and any wrong move ment death.Eight where nothing but if a harpoon got in a wing he wouldn't be able to fly for months if he survived the fight.He fallowed Regius and changed into a Red Tree Dragon.Landing in the trees and gliding from tree to tree.He then looked down keeping up with the fast unicorn.He was 3 feet long and 4 feet tall weight less than a baby deer.Those men where being lost in the dust.But the farther they went the better.More distance between the area they where seen than them them the safer. Luna jumped a bit when the Centaur reared at him." I apologize..I didn't mean to startle you my name is Lunatick Phivix you can call me Luna".He then heard yelling and galloping.A smell went up his nose it was formilar .He then looked at his new acquaintance. "you hear that? or smell something like coal? "He sniffed the air and could hear the sound getting closer and closer.Humans he could smell and horses.He drew his weapon ready to fight.